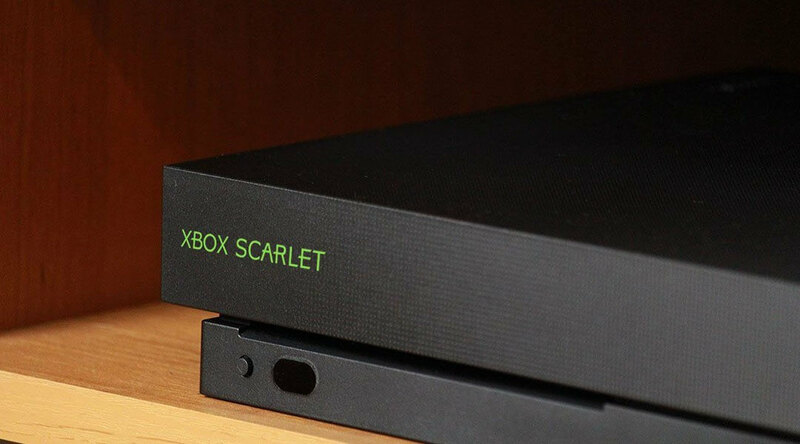 Windows Central reports that Microsoft is set to release two new Xbox consoles in 2020 as part of its Scarlett family of next-gen machines. The cheaper device, codenamed Lockhart, is said to be a successor to the Xbox One S, though it will offer performance comparable to the current Xbox One X. The Anaconda, meanwhile, will be a more expensive, cutting-edge console that will likely pack some high-end AMD hardware. It might also come with an SSD to reduce games’ loading times, which remain one of the worse elements of consoles. Both next-gen machines will support backward compatibility with Xbox, Xbox 360, and Xbox One titles, so anyone looking to upgrade can bring their game libraries with them. While these consoles are well over a year away, Microsoft could announce a new entry in its gaming machine lineup as soon as next month and launch it by Spring 2019. A disc-less, streaming-only console, which was first reported back in July, features local processing power, allowing it to perform specific game tasks such as controller input, image processing, and collision detection. This is achieved by splitting the game into two portions, which some have referred to as a slice or splice, with one running on the cloud while the other runs on the console. Interestingly, Microsoft might also announce a disc-to-digital program alongside its next console. This will convert physical disc libraries into digital ones via participating retailers. Microsoft is also focusing on its Project xCloud streaming service, which allows “console quality games” to work across multiple devices including PCs, tablets, and mobiles. Public trials of the service are set to begin next year. Because it can choke the buyers wallet to death? Charles Olson, Carlos GarPov, Reehahs and 1 other person like this. Mmm, I wonder if they will no longer do Xbox 2, Xbox 3 but instead adopt the way companies like Nvidia/Intel name their products. Who`s gonna buy the cheaper device if its performance is identical to One X? Just because it`s newer? Who`s gonna buy a dated console anyway for 50$ less? I hope this never happens because there are still games wich I prefer to play on consoles due to hacking problems on PC. I don´t want PC players on same servers as console players. It could be a nightmare. Imagine facing aimbotters or "ESPers" on console. The backwards compatibility could be interesting, but it doesnt include the full library, just parts of the library for each console. MS also still doesnt technically allow you to change your own hard drive, which is an immediate no purchase for me. If they were to fix both of these issues, I could see buying one of these for the ability to play OG XBOX games and 360 games on a modern system, as both of mine have long died. Charles Olson, pencea and JaredTheDragon like this. I didn't own an Xbox One because it has no real games on it. Halo, Gears of War, and Forza are not the triforce of gaming, and are all mediocre at best. Hopefully the next generation xbox has a real lineup with exclusives so I can invest in it, otherwise I won't. I bet you people will argue about the bible being fake trust me. You opened the door. So should we ignore or continue conversing about what you brought up? People in developing nations. There is a booming middle class in Latin America, South East Asia and now Africa. They can't afford the latest and most advanced, but they can afford the Xbox One without bluray. Now it is just a matter of pricing their games right, since this generation has a huge catalogue. You have to answer my question before I can answer your question. But that is OK, I know you are trolling now.